Half: Purdue 44, Iowa State 31. Dakota Mathias drills a 3 at the buzzer for the Boilermakers. D1: SPASH; D2: Kaukauna; D3: Xavier; D4: The Prairie School; D5: Bangor. 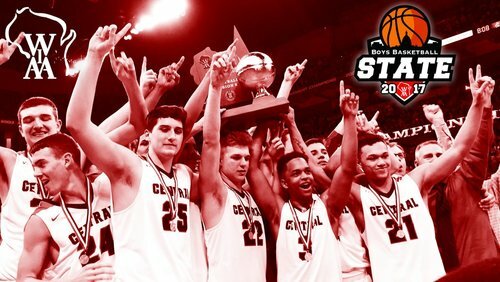 Just 5 coaches in WIAA history have won more state boys' basketball championships than Scott Anderson, who is going to win his third. Joey Hauser appears done for SPASH. He finished with 33 points, 21 rebounds. 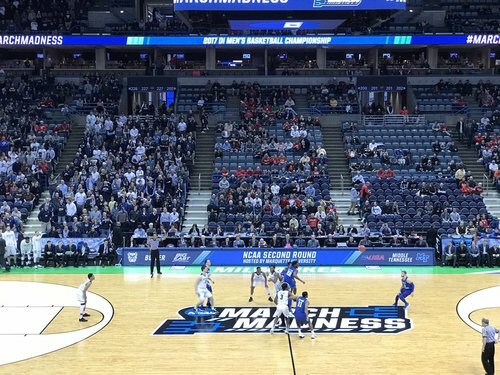 Joey Hauser likely done with 33 points, 21 rebounds. Jay Schauer (South Milwaukee, 1952) record of 26 rebounds in a state game is safe. 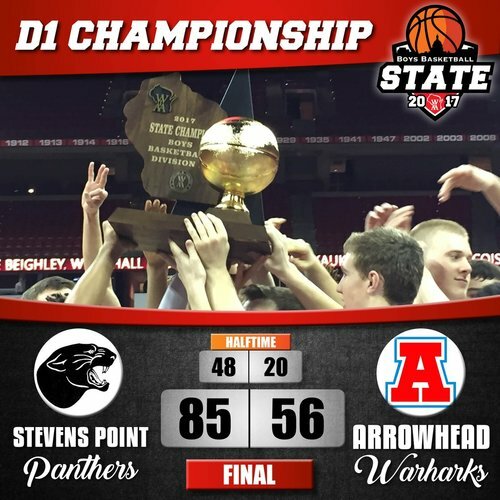 Germantown 2012, 2013 and 2014 won D1 state crowns and now Stevens Point won D1 titles in 2015, 2016 and 2017. Comment on WSN Facebook page: "Destiny does not belong in D4!!!! Darlington won that championship game"
Final: Stevens Point 85, Arrowhead 56. 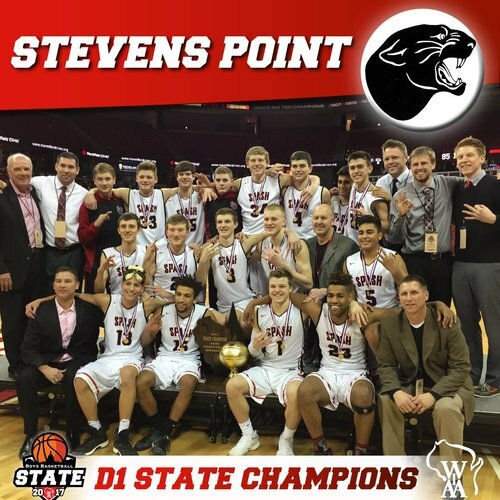 Stevens Point aiming for 4-peat in 2017-18. On another note, Purdue’s mascot is super creepy. Purdue takes Iowa State’s punch and survives, 80-76, to advance to the Sweet 16 for the first time since 2009-10.